United States Coast Guard USCG Eagle Tall Model Ship 24"
Wooden Charles Darwins HMS Beagle Model Ship 14"
Wooden Blue Pacific Sailer Model Sailboat Decoration 17"
Wooden USS Constitution Tall Model Ship 15"
A highly accurate and detailed scale model yacht designed for the discriminating sailboat enthusiast, this tall model ship Lynx topsail schooner is a museum quality replica. 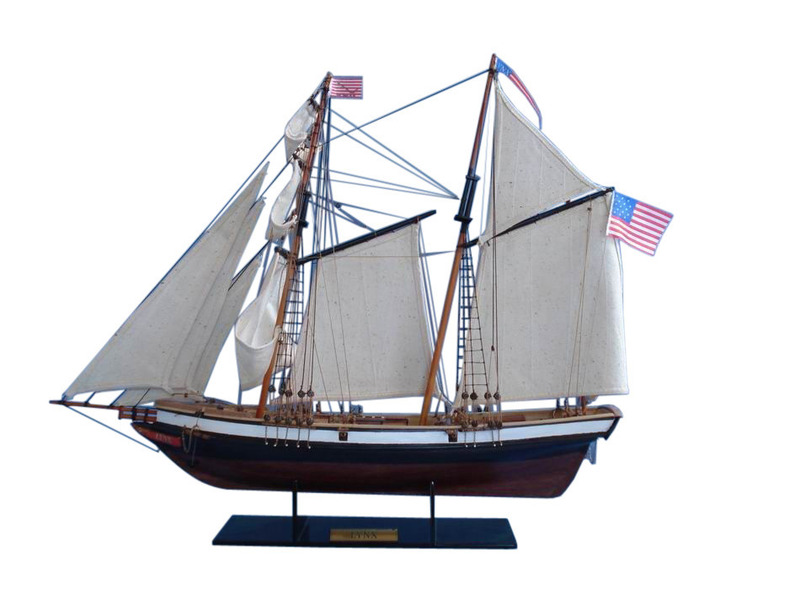 Outfitted as a privateer during the War of 1812, this fine tall ships model of the twin-masted clipper ship is perfectly sized for any small shelf, desk or mantle. Lynx is a square topsail schooner based in Newport Beach, California. She is an interpretation of an American privateer vessel of the same name from 1812. The original Lynx played its part in running the British blockade, assisting the then almost non-existent American naval forces, and defending the American coastal waters and merchant ships against the Royal Navy. The replica of the Lynx sailing today was designed by Melbourne Smith - International Historical Watercraft Society based on historical data and built by Taylor Allen and Eric Sewell at Rockport Marine, Rockport, Maine. 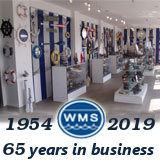 She was launched on July 28, 2001 in Rockport, Maine, making her a very new addition to the tall ship community. Her port of registry is with Portsmouth, New Hampshire. Today, instead of fighting the British like her original counterpart, she serves as an education vessel. She teaches seamanship and history to those who step on her deck. Notably, the Lynx is known for her summer program where she sails to Hawaii with students. Along the way students learn about sail handling, navigation, seamanship, leadership and learning to face unforeseen challenges. Her 4 carronades and 4 swivel guns usually get their exercise during weekends when another tall ship is in port, such as the Lady Washington, where the two tall ships engage in "Battle sail", using actual battle tactics. While the battling tall ships are using actual black powder, they however shoot blanks. Members of the public are able to book passages on these 3-hour battles.